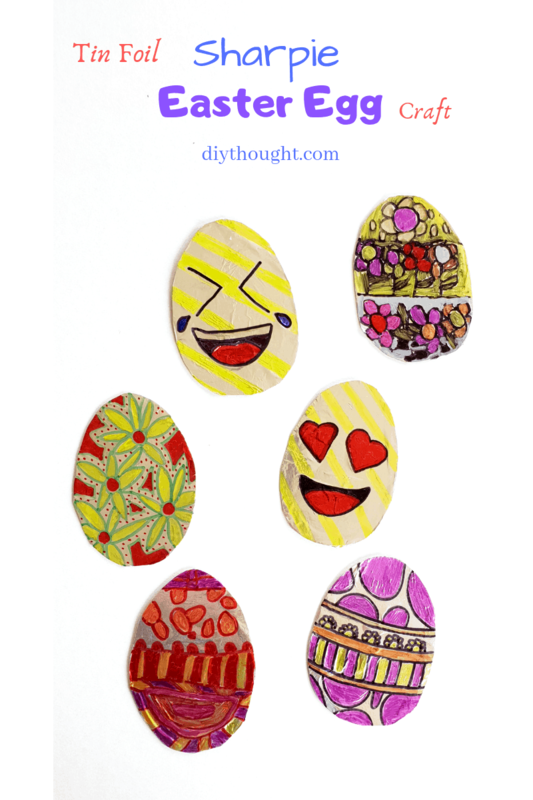 This tin foil Sharpie Easter egg craft is guaranteed to keep kids busy this Easter. I love foil Sharpie art crafts! They are simple to set up, great for all ages and look super cool when they are completed. A craft that toddlers through to adults enjoy has to be good, right! 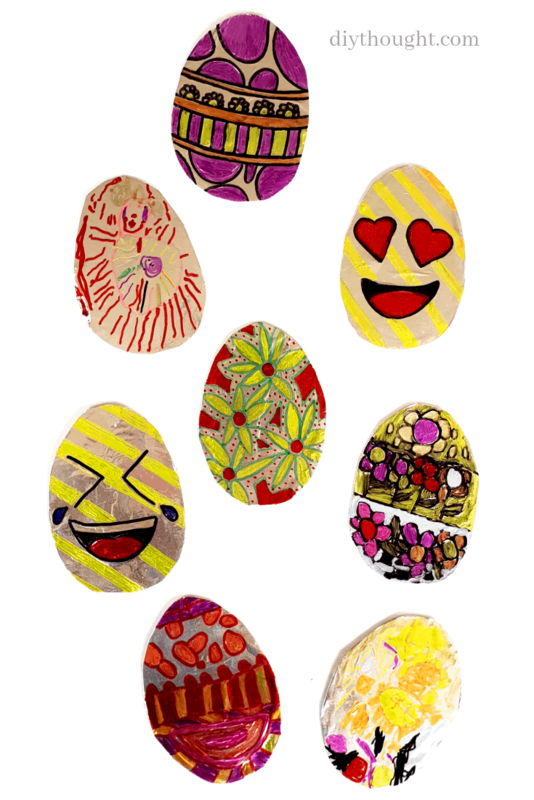 We have made foil butterflies which were lots of fun and the good news is these foil eggs are EVEN easier to make! Chances are all of the resources you need to do this craft are already floating around at home. First, the foil eggs need to be made. 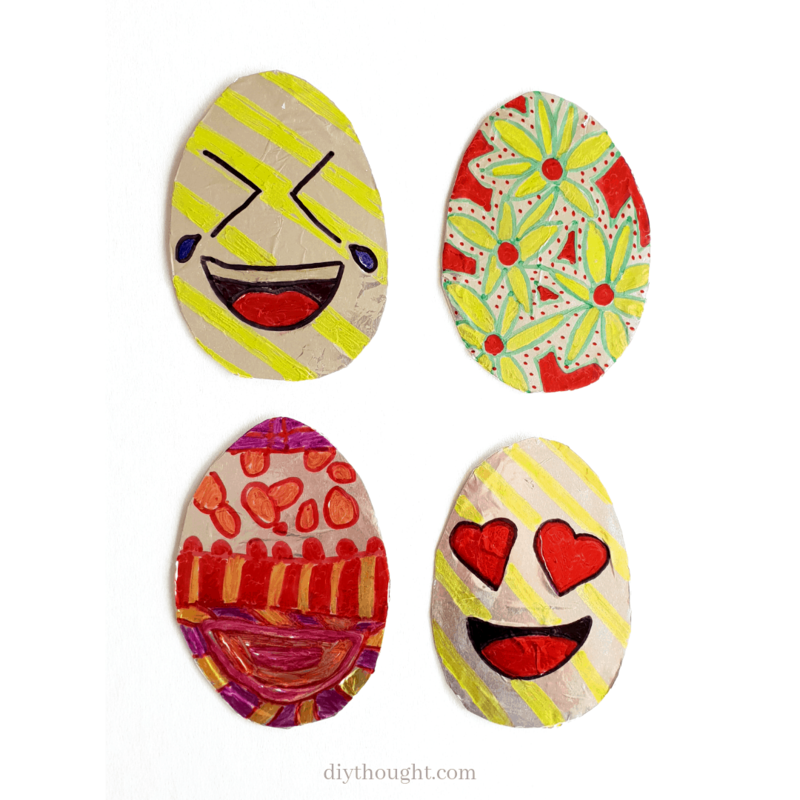 To do this either trace around an egg shape onto your cardboard box or free-hand draw an egg shape. We used a cereal box but in the past have used thicker packing boxes, either works well. Cut out as many egg shapes as you are wanting to make. Glue one side of the egg and place glue side down onto the tin foil, press down. Cut roughly around the egg and then flip it over and glue around the edge of the other side before folding the foil over and smoothing down. You now should have a nicely foiled egg! If you are wanting to see photos of this process check out our foil butterfly tutorial. Now the fun begins. Grab your Sharpies and get decorating. There is no wrong or right here the aim is to have fun! Miss 4 and Miss 7 both LOVE foil art crafts (as do I) so check out our designs for some inspiration. If you do this craft we would love to see your designs!